RME Total Mix FX Updated ! 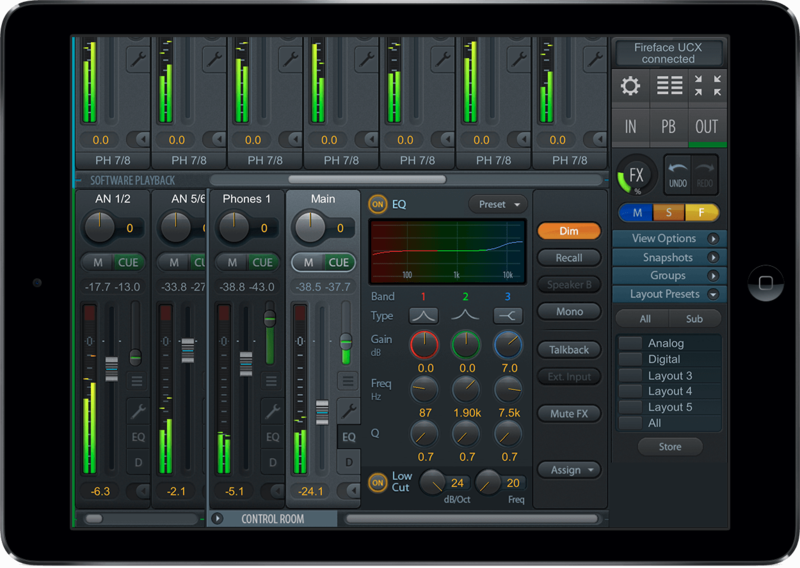 ‘TotalMix FX for iPad’ is RME’s Windows/Mac software TotalMix FX ported to iOS. It gives control over the mixer and effects of the supported audio interfaces Fireface UCX and Fireface UFX, when these devices are in Class Compliant mode. The latest version of TotalMix FX for iPad 1.30 is now available on the App Store. While the new version no longer supports the original (first) iPad, it runs perfectly well from iPad 2 to the latest iPad Pro. Version 1.30 adds support for iOS 9 and the iPad Pro. It is compiled for 64 bit operation, supports slide over and split view, and enables the full resolution on the iPad Pro. Version 1.30 also adds the options ‚Loopback’ and ‚EQ for record’ with Babyface and Babyface Pro. As usual the newer version also includes some small bug fixes and performance improvements.